Hezbollah is now a banned terror group in the UK – a welcome move from the Home Office to proscribe this terrorist organisation. CUFI will now be working in the weeks and months ahead to ensure that the ban is enforced in practice. But what does the ban mean and what is likely to happen next? The loophole was an invention of European politicians and not Hezbollah themselves. Because Hezbollah participates in elections in Lebanon and has members in the Lebanese government, the EU made the distinction in 2013 enabling it to outlaw the military arm while giving legitimacy to the Hezbollah political party thus protecting the basic rights of its voters or its candidates. Hezbollah has used this loophole to their advantage, using the democratic system to gain power while maintaining its own military forces outside the system’s control. In recent years, the anti-Semitic “Al-Quds March” – an Iranian-backed rally that calls for the “liberation of Jerusalem” – has taken place in London on the last Sunday of Ramadan. 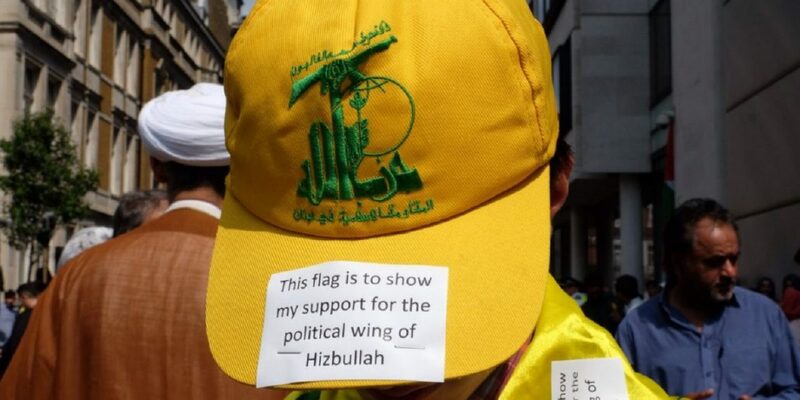 The march has always traditionally expressed support for Hezbollah, in speeches and with flags commonly being on display. Should the march go ahead, the new law now gives Met police greater powers that were previously lacking. CUFI believes, however, that there are strong grounds for the rally itself to be banned. The new law strengthens CUFI’s resolve to expose organisations that are actively supporting Hezbollah and the Iranian regime. For example, The Islamic Human Rights Commission (IHRC), which is one of the main organisers behind London’s Al Qud’s march, is a pro-Palestinian campaign group that works under the guise of “human rights” whilst displaying hatred of Israel and contempt for Jews and Zionism. IHRC has long given support to extremist voices, including prominent support for terrorist organisations such as Hezbollah and Hamas. IHRC hosts an annual “Genocide Memorial Day” each year on the same date as Holocaust Memorial Day where they spread the lie that what is happening between Israel and the Palestinians is “genocide”. This false narrative not only undermines real genocides, such as the Holocaust, but it also reveals that the root cause of the organisation is not to promote human rights but to spread an anti-Semitic narrative against Israel. 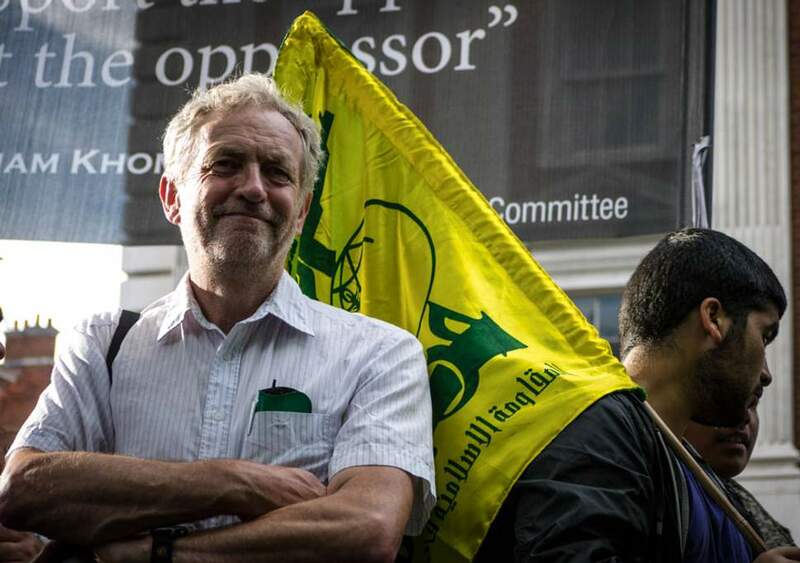 The pro-Hezbollah Al-Quds rally has been previously attended by people such as Jeremy Corbyn (before becoming Labour leader) and Rev Stephen Sizer, who himself has met in Lebanon with Hezbollah officials. Corbyn’s infamous description of Hezbollah and Hamas as his friends is just the tip of the iceberg. Labour’s response to the Government’s announcement suggests the leadership is unhappy with the decision and further highlights Corbyn’s position on the group and its activities. 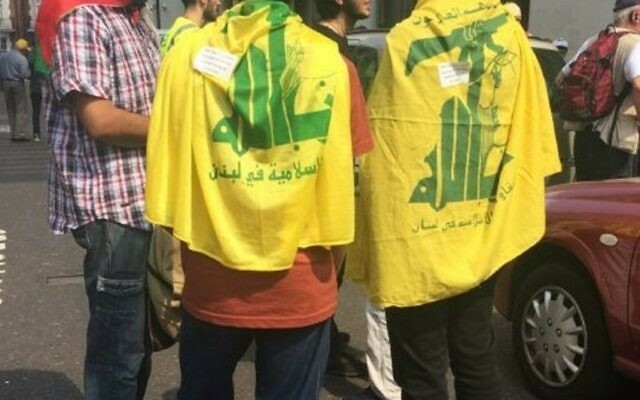 It will now be illegal for anyone to fly the Hezbollah flag on the streets of Britain – something that has been seen in London every year at the anti-Semitic Al Quds march. The order will make it a criminal offence to be a member, or invite support for Hezbollah, and will carry a sentence of up to 10 years’ imprisonment. Could the UK’s position on Iran change? The UK’s banning of Hezbollah came after three years of campaigning to change Home Office policy. It required thousands of pro-Israel supporters to raise their voices and significantly, it needed the Government to fully understand the true nature of Hezbollah, its activities and its deception. The UK government’s right decision sends a strong message against terror. CUFI hopes that a similar realisation will take place within the Foreign Office towards the threat from the Iranian regime. The banning of Hezbollah is a significant first step realising that Britain and Israel have shared enemies and common values in the fight against terror. Thank you! More than 20,000 people signed a CUFI UK petition calling for the ban and thousands more CUFI supporters writing to the Government and sent emails to the Home Office. We appreciate all who got involved.